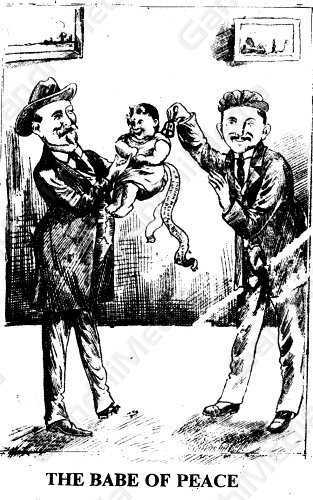 The Babe Of Peace - Smuts: “What do you think of the baby?” Gandhi: “Very pleasant. Born with a twig of peace in the mouth.” – 1908. Gandhi and General Smuts agreed in 1908 that the satyagraha against the Asiatic Registration Act, under which all Asians in the Transvaal had to register, be called off and the Indian settlers in the State, now a British colony, would register voluntarily provided the "Black Act" was repealed. The agreement between Gandhi and Smuts broke down within a few months when Smuts went back on his word, and the satyagraha was intensified. A feature of the protest was mass burnings of certificates of registration.